Enchanted setting minutes from the Thames Coast. Smart, upscale furnishings. Comfortable and warm with views over the garden, bush and stream. Fully self-contained. Ideal for longer stays. 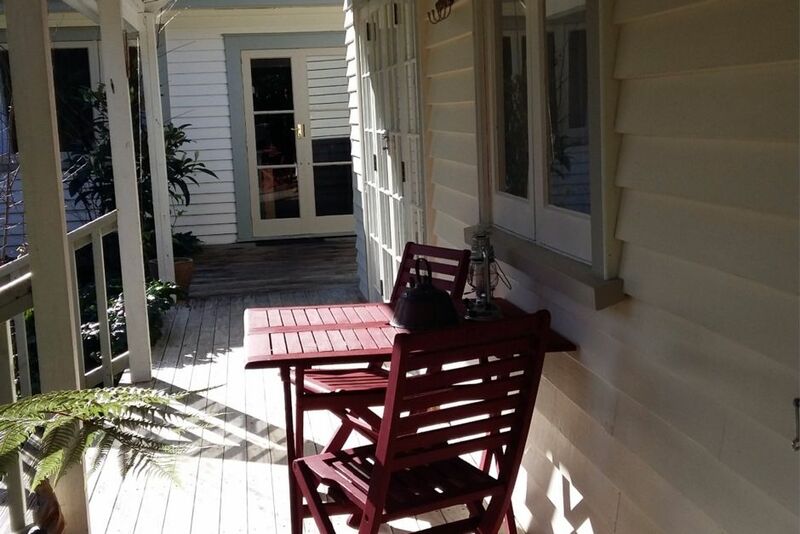 Kingfisher Paradise is a perfect place to relax and recharge or explore all the Coromandel Peninsula has to offer. Natural New Zealand at its most pristine. Tapu Coroglen is a valley close to Tapu Village with a pub, shop, camping ground, and art gallery. Great fishing along the coast, swimming holes, sea food gathering, water sports. Within a short drive from Kingfisher Paradise are cafes, art galleries, rock hunting, beach combing, bush walks, boats for hire, restaurant/pub, fish filleting services. Within the hour there is the Coromandel Township, Thames Township, over the hill to Hot Water Beach, Whitianga with white sandy beaches, cafes, artist trails and festivals. Really enjoyed my stay. Thankyou very much to Roger and Jan. Excellent friendly and welcoming hosts. And an amazing little patch of paradise close to the main road, but with a remote feel. Great little cottage that our little family thoroughly enjoyed. Highlights were swimming in the adjacent stream, relaxing in the spa, visiting the square kauri, and getting a good feed at the local pub. Complete bliss. Few mins from the beach but wonderful quiet bush setting with enormous gardens / lawns bordering a stream to explore. The generous cottage had all the comforts. These hosts have seriously nailed it in terms of great value for money, friendliness, setting and ambience. book it...I can't think of anything people might find fault with...the hosts are absolutely lovely. We used it as a base from which to do a Coromandel town day trip..rather than stay in Coromandel overnight. It looks further on the map than it is and worked just fine. Thanks Milton for your awesome review. You guys are pretty awesome to as guests. We enjoyed having you stay and are welcome back whenever you return this way. The cottage is cosy and well appointed, and grounds are large and a pleasure to stroll in. The cottage is cosy and well appointed, and grounds are large and a pleasure to stroll in. The sound of birds and the stream are therapeutic after Auckland's noise. If you just need to catch your breath for a few days. you will love being here. We will be back when we have the opportunity. This property was Very easy to find not far from the main road and beach.